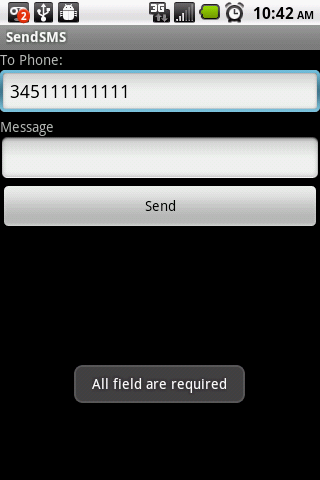 Android SDK SMS Tutorial: Automatically Send Text Messages. We are going to make a text messaging app: two text fields, one for the phone number and message and of course a send button. Pictures of the interface below. and of course there will also be an error message if the user decides to try to be smart. The error message users will get if they don't comply. The code can be easily modified to send automatic text messages. 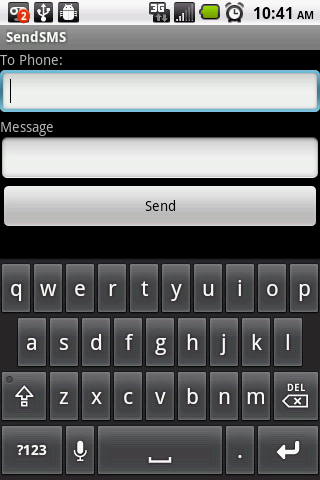 Notice the permission used to send sms, other than that it’s just the default manifest file.